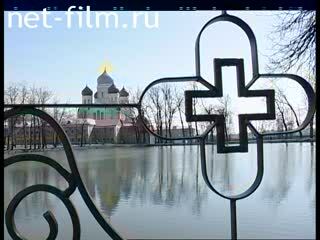 Restorative and restoration work on the territory of the Nikolo-Ugreshsky Monastery. Construction brigades are working to restore the temple and temple walls. The walls of the monastery. Interview with Hieromonk Arseny and Hierodeacon. 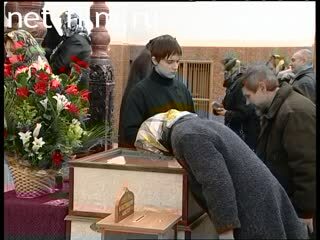 People are attached to the shrines. Bakery: making artos, cakes, pies. Interview with a bakery employee. The queue for Easter cakes. Pond in the territory of the monastery. Swans and peacocks in anticipation of summer in greenhouse cells before they are launched into a pond. Monastic greenhouses: tropical trees, flowers, southern fruit trees; green tomatoes, grapes, flowers. The general plan of the Nikolo-Ugreshsky Monastery. On the territory of the monastery a bakery employee takes out a tray with pies. Reconstruction on the territory of the monastery. White-green monastery wall and pond. Belfry, domes of the temple. The people at the tents with baking. The production of cakes: sprinkle powder on racks, get out of molds. Cakes are shifted from the iron rack to the table. 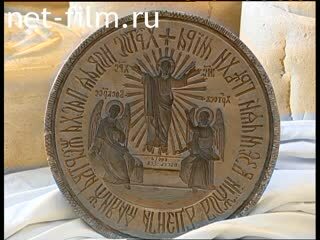 Artos (leavened bread consecrated on the Easter week). Dough with stuffing for pies. A functioning temple on the territory of the monastery. In the temple people are attached to the shrines. Restoration work in the temple. Panorama of the royal gates. The priest walks along the road (the plan is from the back). 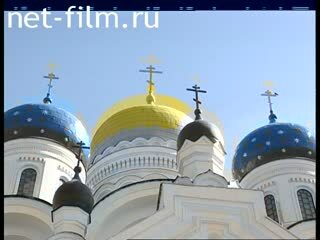 Facades of churches on the territory of the monastery. Turn to the shrines on the street. Pond, temple and bell tower. A cat and a kitten. The monk in the greenhouse. On the territory of the monastery: a pond, a bell tower. Shooting the church through the wrought iron grille pattern. Reconstruction of the territory: the workers lay the brickwork. People buy cakes of a local bakery.